Following up on their successful Huawei Mate lineup is the Huawei Mate 10. Introduced about a year after the Mate 9, the Huawei Mate 10 continues to deliver a lot of a lower price than many competitors. It also checks in with an incredible 23 megapixel camera. Before we get into the mount discussion, lets check the dimensions of the Huawei Mate 10. The phone has a 5.9 inch diagonal display so it’s a bit larger than most smartphones. The Huawei Mate 10 measures in at 5.93 x 3.06 x 0.32 inches (150.5 x 77.8 x 8.2 mm) and weighs 6.56 ounces. So overall, versus the Huawei Mate 9, it got a little smaller but put on some weight. As we often mention in articles for expensive smartphones, buy a good case for it. We continue to like the Otterbox Defender series which we reviewed here, but there are several other good brands. Get a case. A single drop on ceramic tile that results in a broken display will cost way more than a good case. If you think insurance will cover you, think twice. Insurance policies purchased from your carrier carry a deductible and for newer more expensive phones that can be $169 on up. So to add insult to injury, you will not only be paying a monthly insurance premium, but you then pay the deductible. You can read our article on phone insurance here. Let’s look at some mounts for the Huawei Mate 10. We will recommend mounts that include expandable cradles. That way, you can mount your phone with or without a case or skin. We will go with holders that open wide enough to fit this phone, and add some more space for a well made case. For the car, give the location of your mount some thought. There are lots of places to mount your Huawei Mate 10. While the windshield is a go-to place for many, some states don’t allow that location. A few of those states are discussed in this article. 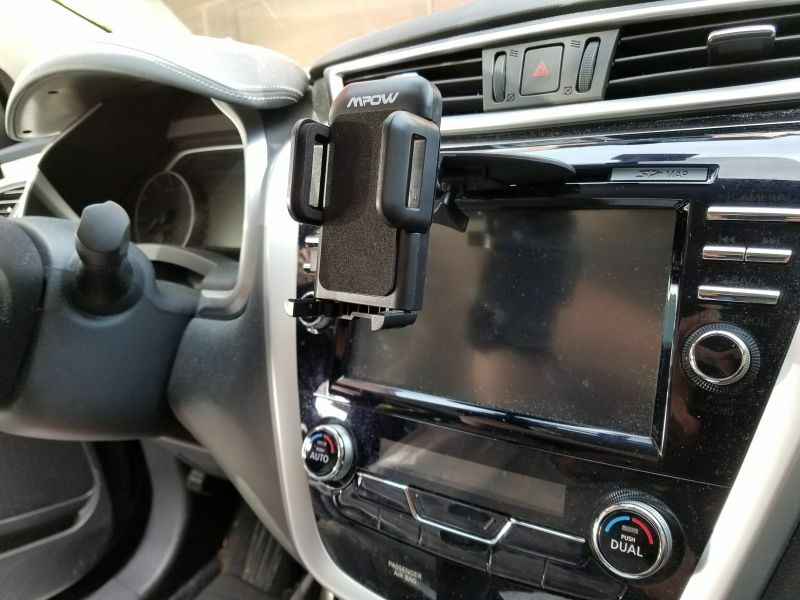 If you’re good with the windshield, we continue to recommend the Arkon Ultra Slim Grip Suction Mount. This mount has an expandable cradle that expands to almost 7 inches when using the longest set of legs. Your phone will be held from the top and bottom. This will fit your phone with or without a case. The mount comes with an adhesive dash plate so that you can attach to the mount to your dash as well as your windshield. The phone can rotate 360 degrees into portrait or landscape using this mount. The vent mount is another good choice for a Huawei Mate 10. The center vents are likely the best location. The Square Jellyfish Jelly-Grip Car Air Vent Mount is one that we have been recommending lately. The Square Jellyfish Jelly-Grip mount can be used to hold a Huawei Mate 10 with or without a case or skin. It has a ball and socket so the cradle swivels into any orientation. This mount will work on flat vent slats that are 3/8 to 1 inch deep. The included cradle opens to 3 5/8 inches. Like the Huawei Mate 9, the camera and finger print scanner are located in the upper middle on the back of the phone. This provides a bit of a challenge on a motorcycle and you need a cradle that will not block the camera and / or press the power button. You need a cradle that is going to grip the Huawei Mate 10 in the middle and below that button. So a lot of the mounts we normally recommend for a smartphone on a motorcycle aren’t going to work well with the Huawei Mate 10 because we don’t want to block the camera. Consider the TechGripper Handlebar Mount Kit. The included cradle opens to 4 inches. The part that attaches to the handlebar is metal and coated black. It fits handlebar diameters from 7/8 to 1.25 inches so it covers the majority of motorcycle models that can accommodate a handlebar mount. The mount takes up .75 inches of handlebar space and the phone sits somewhat close to the handlebar. Installation of the mount is completed with a small hex wrench which is provided. This is a nice feature that helps prevent theft of the mount since most thieves aren’t walking around with a set of hex wrenches. Installation is quick and can be done without a mechanic. We always recommend tethering your device for added security. Do not interface with your phone while riding.